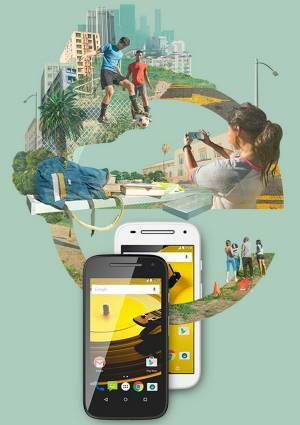 Jill Of All Trades: #ChooseToStart with the new Moto E! With a five month old baby in the house, I know that the day is not far when I will have to baby proof our home and keep all expensive, fragile or harmful things away from him. That of-course includes all our gadgets - PC, tablet, smartphone etc. Me being a social media enthusiast who is constantly checking Twitter, Instagram, Facebook, mails and messengers. Also love clicking candid pictures! 1. Thanks to the 1.2 GHz quad-core CPU and advanced graphics on the new Moto E, I will be able to download baby milestone and other baby / kid apps to record and keep track of his developments. Will also be able to entertain him with nursery rhymes or bed time stories! 2. The New Moto E comes with a 2390 mAh battery that is designed to last all day long. That way, I do not have to bother to charge it every few hours and can focus just on my baby. It will add to my mental peace and I'll know that I can rely on it throughout the day (or night when my baby decides to be an owl). 3. The 5 mp camera and the size of the phone that fits so comfortably in one hand will allow me to capture all his beautiful moments. Be it his first crawl, laugh, attempt to stand or walk; I know that I will be able to take awesome pictures. And every mother knows how we have to learn to do things single-handedly literally! The curved design will help me use the phone with one hand in-case I want to take selfies with my baby! 4. The water-repellant coating and Corning Gorilla Glass protect the Moto E from damage.A baby in the house means that day not being far when he picks up things and puts them in his mouth or throws them. This phone will take care of itself in such times. And if at all my little brat manages to break it, my heart won't be shattered, because it costed me only Rs.6,999/- instead of other 20-30k smartphones, so I will not have to get really furious or hate him for doing that. I can see myself buying a 7k phone again, definitely not an expensive one! 5. The three tap share feature and latest Android on the Moto E will allow me to share his photos, videos with all my loved ones! After all, social media brings us closer and removes the distance barriers. And with a 8 GB storage plus expandable memory upto 32 GB, I can store a lot of stuff without the hassle of transferring them to my PC every now and then. Time flies, and soon my kid will grow up (and there definitely be a new Moto E version to upgrade to); but I will be able to cherish the beautiful memories forever. All because I chose to start something new.